Ordered a black FX4 scab w. luxury package on 4/6, still waiting on a build date. Sterling Grey FX4 w. Lux package. 04/27 build date. 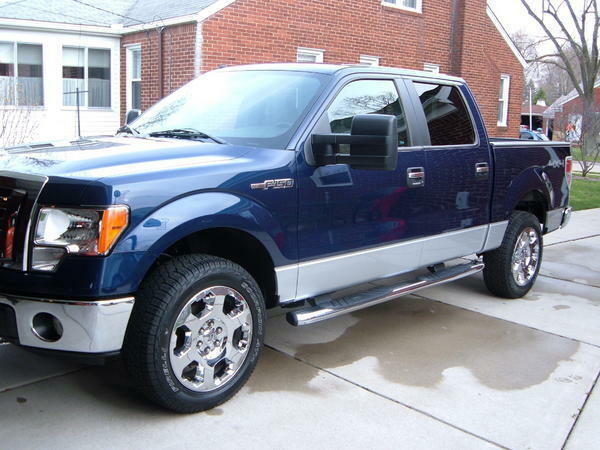 I bought the red headed step child in the F150 family...King Ranch. And yes, I love it. I bought an XLT. It had just about everything I wanted. Why didn't you check XLT in the poll? Right now there is (1) Lariat and (2) Platinums checked. Sorry for this dumb post. I noticed the poll was added after your post. because my message thread was open for a few hours until Rockpick was able to create the actual voting poll. I originally said you can just post to this thread if you want, but I edited it now since the poll is now there. XLT off the dealer lot. Actually I found it on another lot and had my dealer do a dealer trade for mine!! BTW, a guy from Comcast showed up yesterday in a company '09 XL. I was happy to see a new F150 in a fleet for the first time. Had a great topper that had rear doors instead of a tailgate. Last edited by willywaxer; 04-22-2009 at 02:16 PM. XL Model....the only model available in Qatar...proud to represent America Quality in a sea of Toyotas!